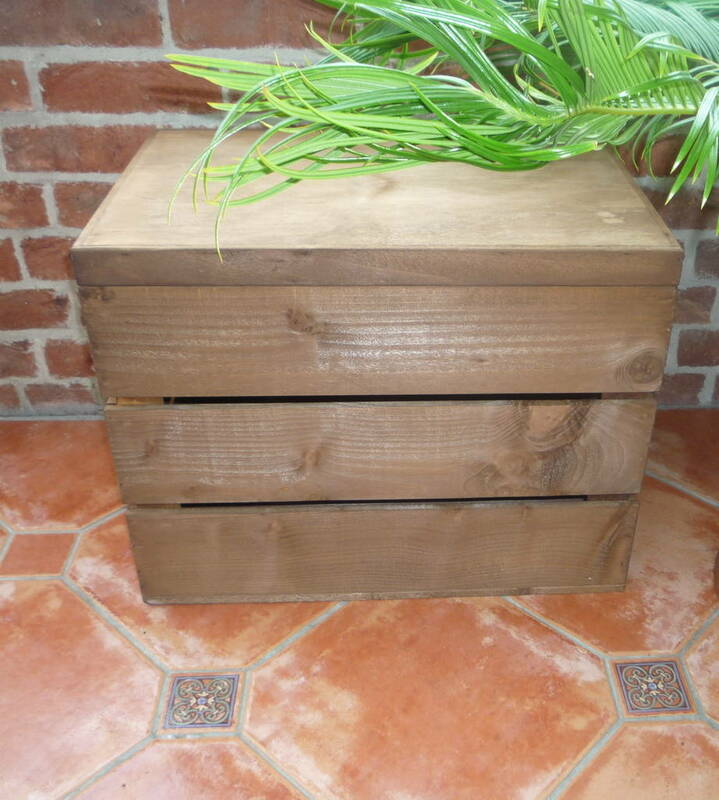 Introducing our Wooden Midi Crate, so versatile! 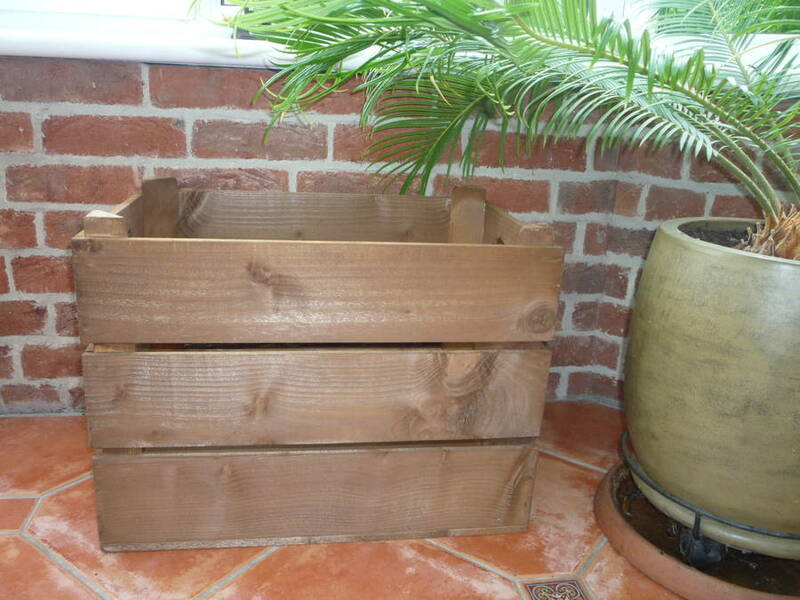 Use for storage, seating or a table; It can be any one just by adding a Lid. 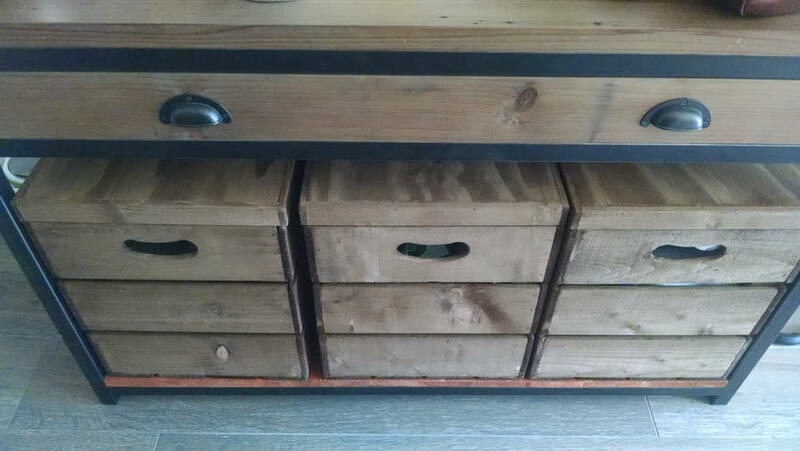 Looking for a interesting way of storing bulky items, then look no further. 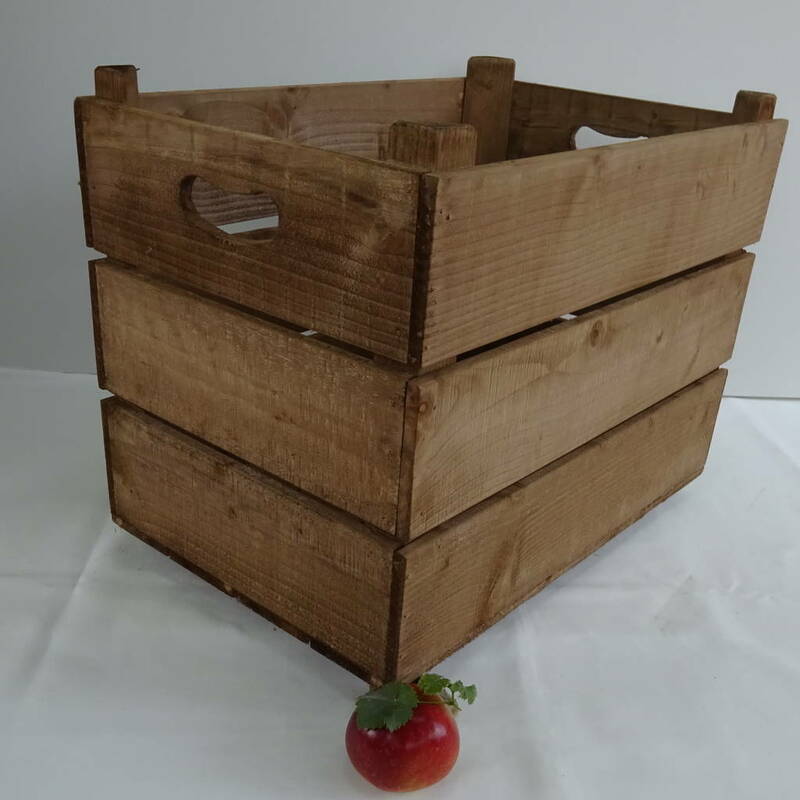 This Vintage Style Wooden Midi Crate is what it says, a Mid size between the Wooden Apple Crate and our Vintage Style Double Crate. 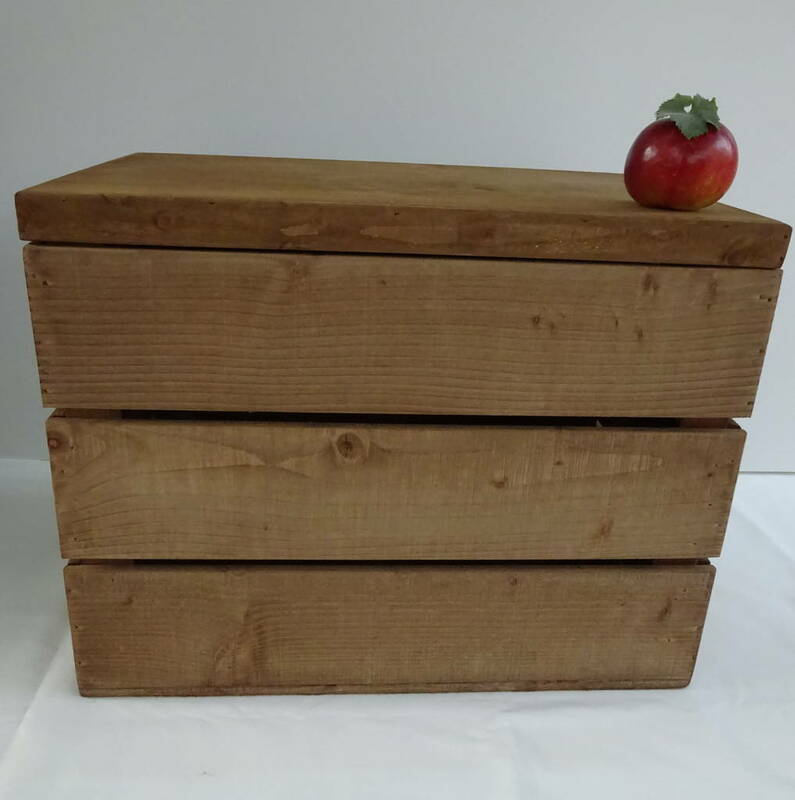 So please have a look at all the varying uses that the Wooden Midi Crate can offer, storage, seating, recycling, an extra side table or even a bedside table. The wood used for these boxes is either recycled or from sustainable sources. The Wooden Midi Crate is the newest addition to our range of crates. Offering many choices, somewhere to stash away your cosy blankets or tidy up the childrens' toys at the end of the day. Then by putting two or three together with Lids and Castors they make a very efficient way of dealing with the problem of how to make your recycling unit attractive. We've included a photograph from one of our customers who did just this! By adding the Lid, not only can you use it for storage, but it also becomes an extra seat at an ideal height for use at the table. Indeed, it can now become an occasional or side table and is very attractive with a Lamp and a couple of books added, great! If you're using it just for storage, then there's an opportunity to add Castors for easy stowage. However, we do NOT recommend using Castors if you're intending to use the Midi Crate solely as a seat. 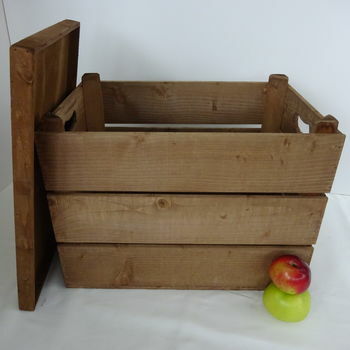 Wooden Midi Crates are available in a natural wood colour like the Old Apple Crates or with a choice of five colours. All the paints that we use are suitable for indoor and outdoor use. 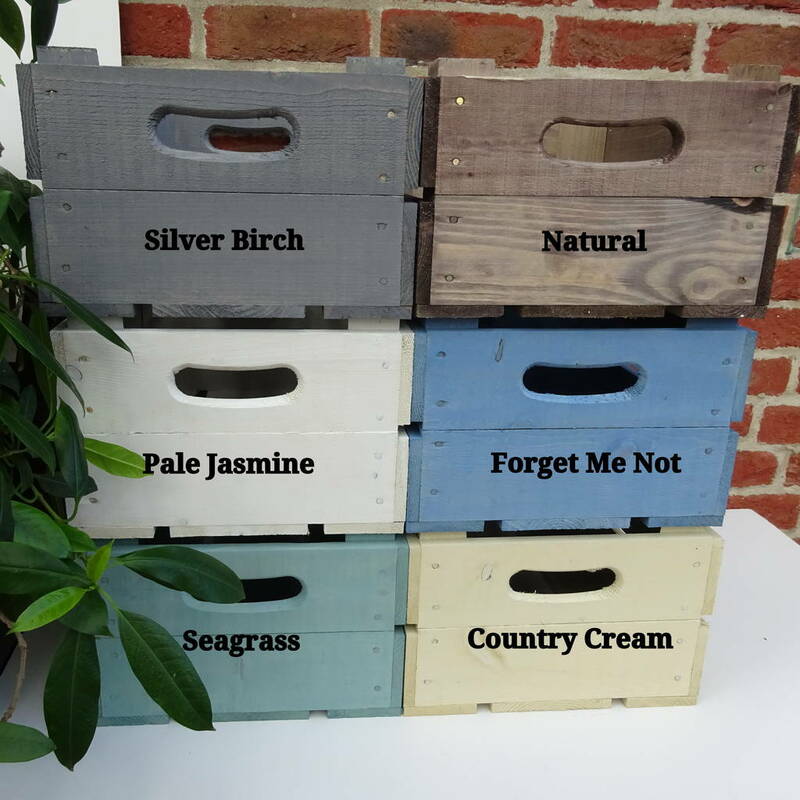 Our Vintage Style Crates are all made from either Re-usable Timber or from certificated Sustainable Wood sources. Please note only one crate is included in the indicated price. This product is dispatched to you by Vintage Crates.